Caudalie began in 1993 when the harvest took place on the grounds of Château Smith Haut Lafitte. Professor Vercauteren exclaimed on seeing the remains of the press, the skin and seeds of grapes: “Do you know that you are throwing away treasures?” He then revealed the extraordinary anti-oxidant polyphenols and grape vine, and Caudalie was born. It has been more than 10 years and we continue the search to find the most effective treatments. We have filed patents that give great satisfaction to millions of women in their fight against the signs of aging. 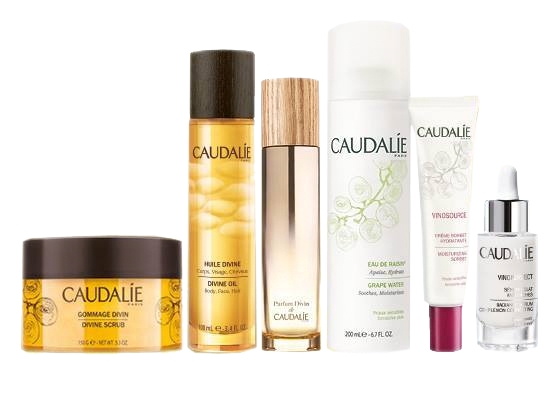 Caudalie is inspired by their remarks to constantly improve the performance and quality of our beauty products.